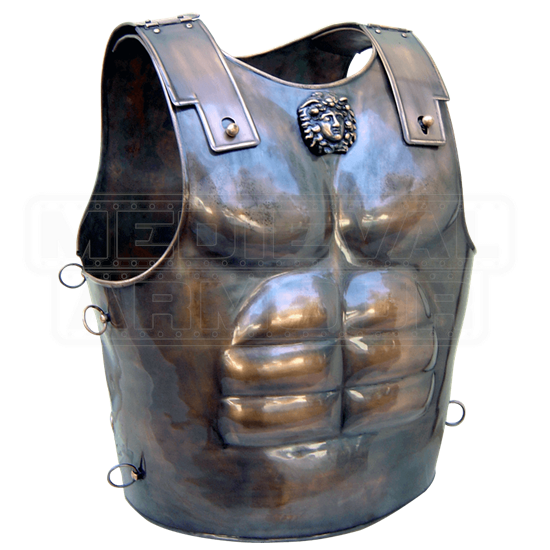 The Bronze Muscle Cuirass is a fantastic example of classic Greek armour that would have been favored by any Greek warrior going into battle. The sculpted look of the armour was not only highly effective, but it also enhanced a warriors appearance. Of course, warriors were not concerned with style, but rather their heavily muscled armor could be considered an intimidation tactic against their respective enemies. This armour, like most muscle cuirasses, features a heroic shape that depicts a well-muscled and well-defined male torso, cast in quality metals. At the center of the armours breastplate is a decorative medallion that depicts a gorgons visage. Hinged fasteners attached to the back plate are used to secure the armour together. Small rings on the sides exist to further secure the armour together and to act as harnesses, should anything need to be suspended from the armor and not a belt around the waist. This armour is made from quality metals and features an impressive, antiquated look, thanks to its burnished bronze finish. 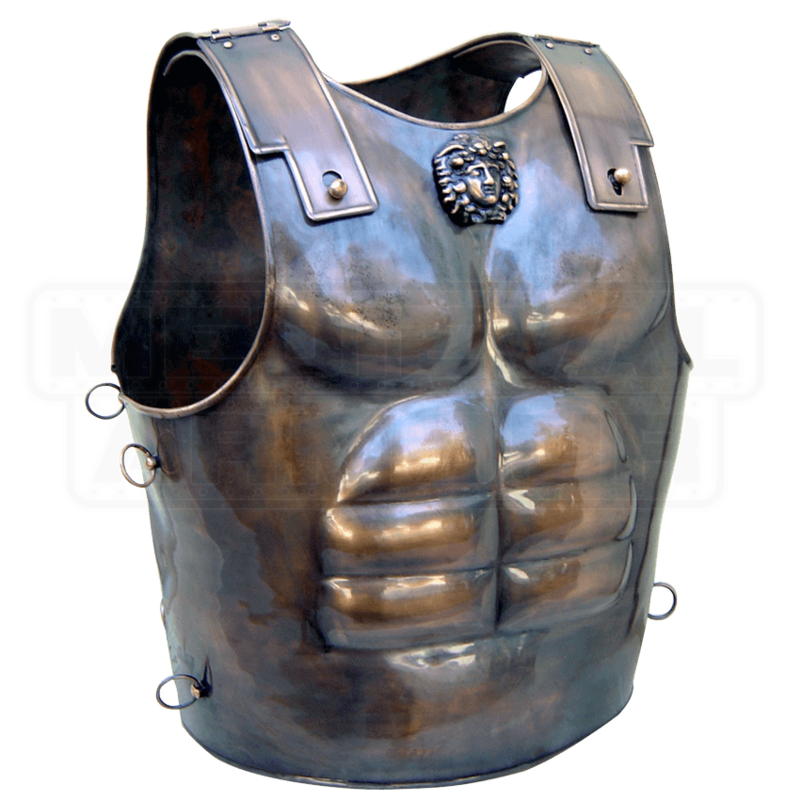 Modeled after the statuesque armour of the Greek warriors of old, the Bronze Muscle Cuirass is a fantastic piece that would make a great addition to any collectors armory, as well as a first-rate piece of armor for any enthusiast or re-enactor to wear into battle.